It has been more than a year, and I look back sometimes at things I did and I wonder why I did them. 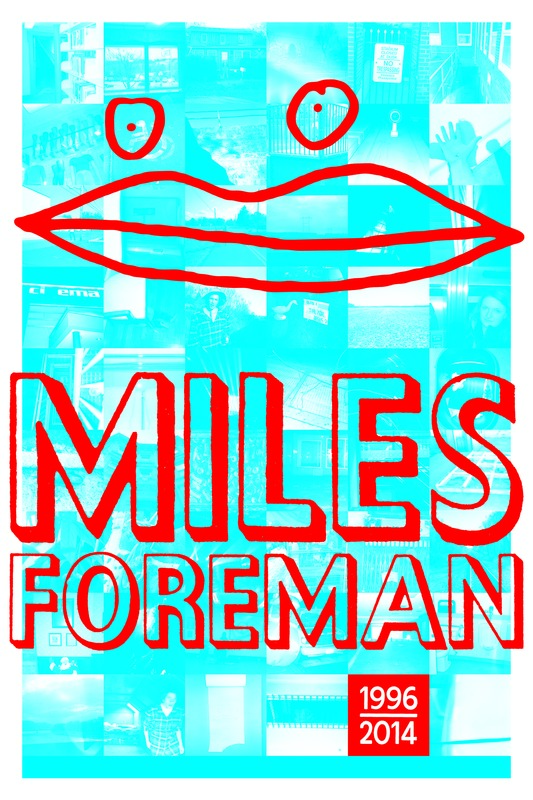 We made some posters to memorialize Miles. Posters? Who makes a poster for someone who has died? It may seem weird to people, but it makes perfect sense to me. 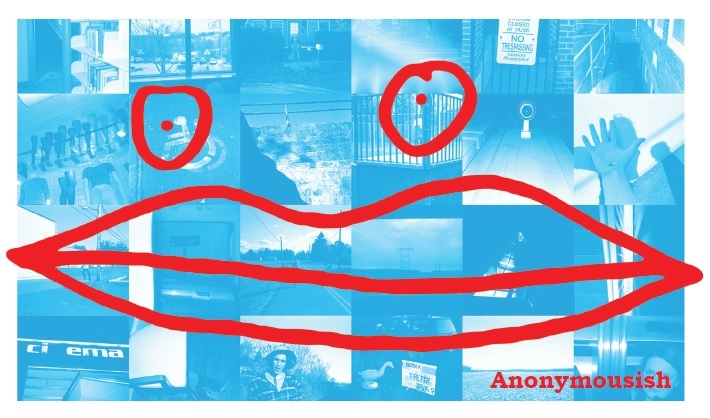 Miles’s friends organized a skatefest at the Lewisburg Skate Park, and we wanted to get word out. I wanted to make a nice poster to advertise it. I immediately thought of a guy on Twitter I know, Daniel Murphy. I told him what I wanted to make, and in less than 12 hours he replied with a beautiful design. He used Miles’s images from his photography sites and Miles’s original drawing of the Wild Thing face. We wrote the date, time, and location on the poster in sharpie and we gave them out to people who attended the event. People liked them so we printed out more. I have seen them in bedrooms, dorm rooms, classrooms, and bars. They are all over. People like it a lot.I have one above my desk. I am grateful for having such a talented friend to make the poster so quickly. 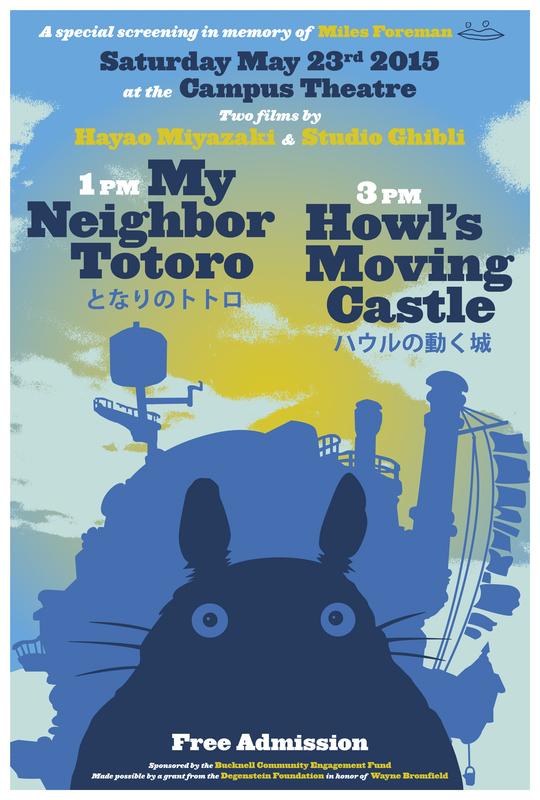 Daniel made the poster for our Miyazaki film festival too. We made some stickers based on the poster design. I see them all over too. It is one way to remember, to put the idea of your friend, brother, or son in a place where you’ll always have a reminder. Always forever, someone is missing. Always absent. A hole in my life, our lives, the world. I am so sorry Miles. Miles had a wonderful imagination from a very early age. He lived two lives—one here with us in our world and one imaginary world overlaid on our own. When he was a boy, there was always something else going on with us, a pretend world that we both participated in. Miles’s creativity manifested itself early on. One day, Timmy and Red Legs appeared. They were his imaginary mouses. They went everywhere with us for many years and it started when Miles was about three years old. Sometimes, if something happened for which there was no explanation—a cup was broken, a cereal bowl spilled, someone stuck their finger in the cake before it was time to eat it—Timmy and Red Legs were prime suspects. Miles was never reluctant to point out their alleged misdemeanors.